It might be counter to the common refrain, but a former Quebec politician suggests that the sovereignty movement is, in many ways, in better shape now than it was in 1995 -- the year of the last referendum. 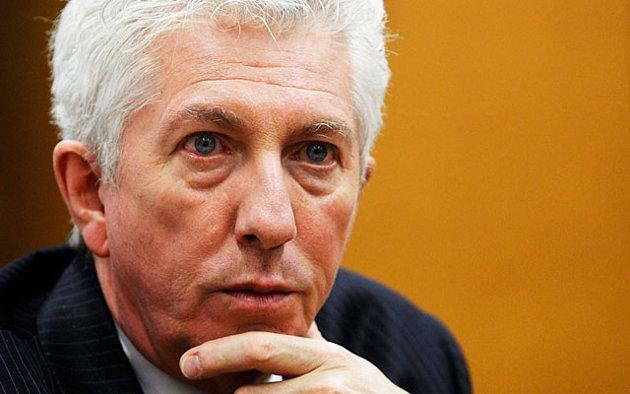 In an interview with Yahoo Canada News last week, former separatist Bloc Quebecois leader Gilles Duceppe said that he thinks the Parti Quebecois will win the election (either as a minority or majority), that the primary issue of the campaign will be jobs and the economy while the issue of Quebec identity will hover in the background. And despite the latest poll suggesting only one-third of Quebecers want an "independent country" Duceppe says he's not deterred. "I think [Liberal leader] Philippe Couillard said [Quebec identity and sovereignty] are not really issues. I've never seen so many people discussing about a non-issue," Duceppe quipped. "I do remember that in 1995, the middle of September, they were asking people the priorities in the coming months. And sovereignty made eight per cent. A month and a half after, 94 per cent of the people showed up to vote on a [sovereignty] referendum." Duceppe, who now works as an election analyst, won't predict a date for the next referendum — he says that if the PQ wins a majority government, he expects Premier Pauline Marois to keep her promise about holding consultations on the issue over the coming months. But he says a lot has happened since 1995 — a lot things that, in totality, buoy the sovereignty movement's arguments heading into a referendum campaign. He cited the European Union as example for Quebecers that neighbouring nations (ie: Canada and a sovereign Quebec) can cooperate; he linked the international community's support of the breakup of Serbia and Montenegro and Stephen Harper's talk of sovereignty for Ukraine with Quebec's situation; and he says the fact that the federal NDP and the provincial parties have come out to support the legitimacy of '50 per cent plus one' vote offers the movement more clarity. "The context is certainly different than in 1995," he said. "We took lessons from that referendum."